3 days in-depth training for software developers and architects, where you’ll get a real chance to get your hands dirty with the only way of developing truly scalable applications. This trainig is an absolute must if you want to learn how cloud applications should be designed and thought of right from the beginning. Get your chance to learn how big software vendors like Microsoft, Google, Twitter, Facebook and others design the applications you’re using on a regular basis. Throughout this workshop, you will get a firsthand experience using Service Fabric, Microsoft renowned microservices runtime engine, Service Fabric Cluster, a cloud-native service for orchestrating microservices and, of course, learn how you should think about your services’ domains, model decoupling and application decomposition. This workshop is full of real-life examples, practical approaches you’ll need to know to develop truly scalable applications. After the training you’ll get access to all the slides presented. During and after the training you’ll be able to ask questions from our expert with over 10 years of experience in his field. During this module will you understand the implications of the SOLID principle, the bounded context pattern, the Domain-Driven Development pattern and the idea of splitting data based on the domain. Briefly, we will also cover the similarities and differences to SOA applications. Understand what the different types of Service Fabric products are and how these can be leveraged in a dev and test and production workloads respectively. Learn what a Service Fabric reliable service actually is and how you can take advantage of a smooth learning curve yet make your application’s features reliable. Actor model is a drift from the old Active Actor pattern. During this module you will understand what an Actor is and how it can be implemented using Service Fabric’s runtime and programming model, yet also when it is a good fit for your apps. Learn how you can move your data closer to your compute by leveraging stateful services in your microservices application. Learn how to think about a microservices application running in Azure. During this class, you will understand the implications of breaking apart an application into multiple projects or solutions. You will thus learn what workarounds are available for a seamless CI/CD pipeline and for harnessing the power of serverless and microservices, without loosing the control of the project. Learn how to use a gateway in front of your individual single-responsibly running APIs. If you want to truly run a fully optimized and decoupled app, this module is an absolute must. Implementing a proper continuous delivery pipeline can be extremely difficult unless you know exactly what to do. During this project, you will learn how to configure a Visual Studio Build Definition and a Release Definition and have seamless upgrades of you project. Rolling back to a previous version can be a tendentious operation. However, during this module, you will learn how you can have a smooth rollback experience when you realize you’re shiny new application just isn’t production-ready, after a publish. Microservices and serverless infrastructure do promise a lot of scalability and performance. However, no matter what patterns you implement, you should never trust a marketing pitch just because it sounds good and the service you’re relying on has been leveraged by others. During this module, you will learn how to cloud-load test an application using the power of Azure. Securing a web application is just as important as making the application a reality, if not even more so. During this module, you will learn the best practices about monitoring, logging, rate limiting, penetration testing, XSS injection, CSRF attacks and more. Additionally, you will learn about the implications of using a self-hosted web server and what the advantages are from a security perspective. Alex Mang is a regular speaker at community-driven events focusing mostly on cloud-computing topics, thus aiming to help developers better understand the implications of cloud-computing as a whole. As an Azure Advisor, he regularly offers feedback on upcoming Azure features and services and gets to test them out in early development stages. 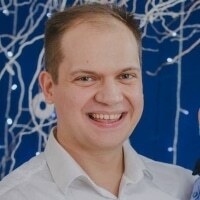 Alex dedicates most of his time developing his BizSpark Plus start-up, KeyTicket Solutions, an event management and ticketing solution developer company, where he gets to work with some of the biggest event organizers in Romania. He also invests lots of time teaching software architectural patterns and cloud computing development at user groups and forums. Whenever he doesn’t write articles in the monthly TechWiki magazine, he develops and publishes open-source Azure-related libraries (e.g. Azure Search Client) on CodePlex or in Git repositories. During his 10-year career as a software developer, he got the chance to work on both hardware and software projects using Microsoft and Microsoft-related technologies on all platforms imaginable: embedded, robotics, desktop, mobile and web. In-depth training for software developers and architects, where you’ll get a real chance to get your hands dirty with the only way of developing truly scalable applications.